My girlfriend recently tipped me off to a company in Montana called Legacy Power Wagon. They do for the original Dodge Power Wagon what Icon in Southern California does for old Land Cruisers, that is rebuild them from the ground up with new, state-of-the-art interiors and mechanicals. For starters they swap the original 230 or 383 cu.-in. motor for a modern-day Magnum V8, stroked to 426 cu.-in. and delivering 425 hp, or for a 4-cylinder, 3.9-liter Cummins Turbo-Diesel that churns out 480 ft/lbs of torque. Add to that a long-travel suspension, disc brakes, upgraded axles with locking differentials, an Atlas transfer case with 3.8:1 low-range, and a 16,500-lb winch, and you have a pretty formidable vehicle. Not to mention that it looks as tough as a barrel of nails. The style is pure 1940s. The performance is not — it goes like a cracked whip. Legacy’s site claims the gasoline version will snap to 60 mph in just 6.5 seconds. As you might expect for this kind of attention to detail and “legend reborn” performance, the cost of entry isn’t cheap. Expect to plunk down about $120,000 for the two-door version. What’s that? You want the 4-door version that you saw at SEMA this year? OK — prepare to write a check for about $170,000. Prices head north depending on options. Portal axles, anyone? How cool is this? 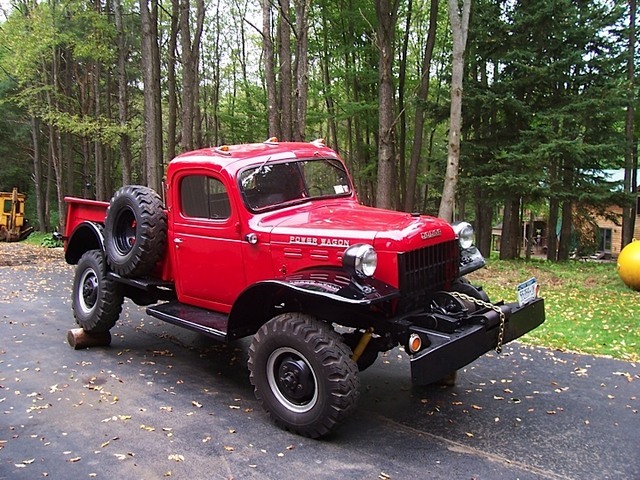 It’s a 1958 Dodge W300M Power Wagon with a swivel frame to accommodate variations in terrain. 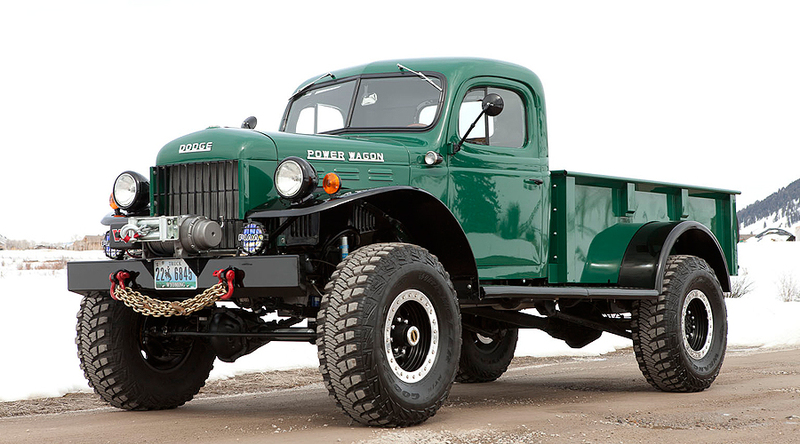 The Power Wagon was based on the Army’s 3/4-ton truck chassis and was first offered after the war in 1946. The swivel frame was an aftermarket modification done at the time by Willock, a Canadian Company. This unique piece of 4×4 history is currently for sale for $20k. Read about it on Bring a Trailer.